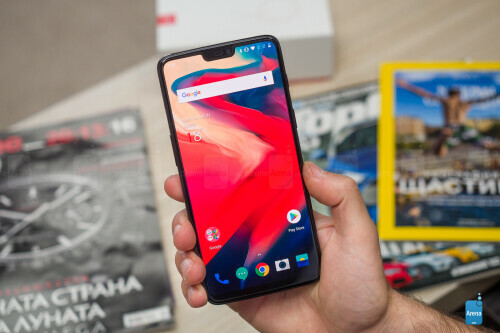 If you don’t want to spend a fortune on a phone, but still want a _phone_ that looks great, runs fast, has no bloatware and is reliable in the long term, OnePlus has been the company you go to in the past few years. A technology rebel that started with the bold slogan “never settle”, OnePlus quickly accumulated a loyal group of followers that swore by a device that cost nearly half the price of other flagships, but still had the latest specs. And with OnePlus it is all about that one device: the company does not make any other phones, so all of its focus lies solely on this one phone. With a loud and clear message and a razor-sharp focus, OnePlus was the perfect disruptor. And now, four years after the original OnePlus One, it has brought us the OnePlus 6: its most beautiful and refined design ever. Its slogan is “the speed you need” and OnePlus clarifies that this refers to not only the _phone_ being fast the moment you get it out of the box, but that it also stays fast after years of use. And yes, all of this still costs considerably less compared to what you pay for the top Apple iPhones and Samsung Galaxies. We have been using the OnePlus 6 for nearly two weeks now and we can’t wait to tell you more about it. Let’s get started. The OnePlus 6 is a big new step for the company in terms of design: while it keeps nearly the same size and a familiar, slightly curved back for better ergonomics, the 6 is not made of metal like previous OnePlus phones. 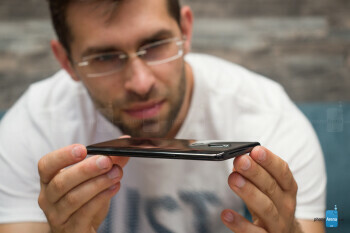 Instead, it’s made of glass that is carefully formed in three different variants: you have the shiny and glossy “Mirror Black” edition with a mirror sheen that makes it feel like ceramic, but without the added weight and brittle qualities of ceramic (this is the version that we have up for review), then comes the “Midnight Black” model with its matte look and a distinct tactile feel similar to that of the trackpad on a Macbook. OnePlus achieved this by applying a special process where the glass is very precisely and purposely corroded and then a thin layer of film is added to give it that well-defined look and a captivating, S-shaped reflection. The reflection is a little Easter egg that has no particular purpose, except for that esthetic appeal, but we appreciate the thought and creativity that went into this; and then finally, there is the limited edition “Silk White” version with a glamorous gold edge. OnePlus says it incorporated crushed pearls in one of the five glass layers on this model and it features an overall more delicate feel. All of these finishes look stylish and OnePlus now prints a “Designed by OnePlus” note on the back of the phone to underscore how proud it is of its work. 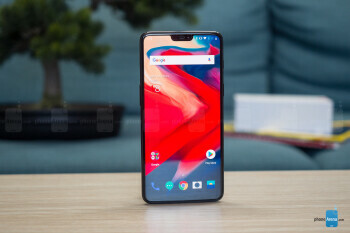 The company also made it clear that it is well aware that glass tends to break and it has used toughened Gorilla Glass 5 on both the back and front of the phone, and it has tested the OnePlus 6 to confirm that it meets the same durability standards as earlier, metal OnePlus phones. We are also impressed with the little details that often get overlooked and that OnePlus gets right on this phone: for example, the physical buttons deliver a very satisfying clicking sensation. The signature OnePlus alert slider is also here, but it has now moved to the right side of the phone. The three toggles on that switch used to be a bit over-complicated in the past, but now OnePlus has simplified all of this: the three toggles are now simply ring, vibrate and silent, and you now also get a pop-up that tells you instantly which mode you are switching to every time. We love the alert slider on OnePlus phones and this is its most refined version. In fact, it’s such a simple and useful thing that we wish other Android phone makers would just copy it. Excellent job, OnePlus! On the bottom of the phone, you have the USB-C port for charging, a loudspeaker and a headphone jack, so you don’t have to deal with adapters if you want to use your good old wired earbuds. OnePlus also unveiled its first wireless headphones along with the OnePlus 6: the OnePlus Bullets Wireless. Sold separately at a price of just $70, these headphones are half the price of Apple’s AirPods and of many other popular wireless headphones, and could just be the product that prepares the soil for future OnePlus phones without a headphone jack. We gave them a quick listen and came away happy with the quality and vibrancy of the sound, far exceeding the expectations for a $70 pair of wireless buds. To be perfectly precise, the Bullets Wireless are not “truly” wireless: there is still a cable that connects the two, but it is this design that allows for their whopping 8 hours of battery life. The buds also cleverly snap together using magnets and automatically turn off, so you don’t end up wasting battery life when you are not listening. They also support fast charging via a standard USB-C cable, so you can get 5 hours’ worth of listening time with just a 10-minute charge. And one more cool detail: they are sweat and water resistant! Switching back to the OnePlus 6’s design, on the back of the phone, you have the new dual camera system that bulges out just slightly, and right below it -- a fingerprint scanner. OnePlus makes one of the fastest fingerprint scanners that we have ever used and the one on the 6 is no exception: the fingerprint scanner unlocks the phone in just 0.2 seconds and it feels indeed fast and reliable. You also have face recognition that is now faster than before, unlocking your phone in just 0.4 seconds and it feels downright magical when it works, but it’s not quite as secure as a fingerprint scan and it gets less accurate at night. Another feature that is added to the OnePlus 6 is partial water-resistance. What does this mean exactly? While the phone is not fully water-proof and you cannot take it with you for a swim, OnePlus has added special water protection to the most vulnerable areas of the phone, so that water cannot enter the wiring of the phone and damage it. The headphone jack, the fingerprint scanner, the buttons are all carefully insulated and water protected too, so the OnePlus 6 can survive a short stay in the rain or a drop in the sink, but once again, it’s not fully water-proof, so don’t swim with it. 6.3” AMOLED screen with a notch. And while the OnePlus 6 has not changed much in terms of size, it now comes with a bigger screen, with higher screen-to-body ratio and yes, a notch. The screen here is a 6.3-inch AMOLED panel with a Full HD+ resolution, a 19:9 aspect ratio and it stretches nearly edge-to-edge, so the OnePlus 6 now has a screen-to-body ratio of almost 84%, noticeably higher than the 80% on the 5T. We are not worried that this is a Full HD screen and not a higher-resolution Quad HD panel because the difference in sharpness between those resolutions is really very hard to notice in real life. In terms of color, you get the typical for AMOLED rich colors and the default color setting brings that even further with its punchy, oversaturated tones. It is a look that impresses, but also that feels a bit overly exaggerated, so we are glad that in settings, you can select different color profiles for the screen, including an sRGB and a DCI-P3 color mode. 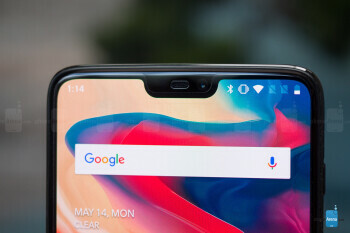 The OnePlus 6 features the company’s signature OxygenOS interface that you would hear many people describe as “pure” Android. But this is not the same Android interface that you get on Google’s Pixel phones, it is just a very clean and clutter-free UI. In fact, it is different in places that are not always “visible”: OnePlus says that there are over 200 under the hood improvements that come with this interface and contribute to its speedy feeling. Apart from its speedy performance, probably the biggest new feature here are the new gesture controls. While the default option on the OnePlus 6 remains on-screen buttons for navigation, you can switch to a brand new gesture navigation in settings, which hides all buttons from sight and leaves you with an uninterrupted, full-screen experience. So how do you navigate with gestures on the OnePlus 6? A swipe from the bottom edge up brings you back to the homescreen. Swipe and hold for a second and you will see the recent app cards. Finally, swipe from the left or right edge up to go back. The home gesture works fine and you get used to it quickly, but the more we used the other gestures, the more we became frustrated with them. The back gesture – the swipe up from the bottom edges – is right where are critical buttons on apps, and instead of going back, multiple times the gestures was mistaken with the Share button in Facebook. Sharing something random on Facebook could be anything from a blunder to a huge embarrassment, and we quickly disabled the gestures after those misfires. The multitasking gesture is also a pain to use: it’s just too slow and does not feel natural. At the end of the day, we appreciate having gesture navigation, but we definitely wish OnePlus refined it a bit more. Another useful option in OxygenOS is the improved gaming mode, where the phone makes sure your gaming session is not interrupted by nagging notifications, but also it disables background processes to ensure you get the best frame rates and the best network speeds for more competitive gaming. Other familiar staples of OxygenOS are still here: Night Mode that filters out blue light, Reading mode that turns your screen grayscale and makes it easier on the eyes, Dark Mode for night owls and for better battery conservation, and so on. A spec sheet to envy: Snapdragon 845 and up to 8GB RAM/256GB storage. Back when we reviewed the OnePlus 5, we said there are two ways to look at it: one is that it was the most expensive OnePlus phone ever made, and two, it was the cheapest phone with the top Snapdragon processor. Well, the same is true for the OnePlus 6: it’s got the latest and most powerful Snapdragon 845 system chip, but it costs a fraction of the price other phone makers charge for a phone with such a powerful processor. What does the Snapdragon 845 bring to the table? The official promise is for up to 30% faster performance, while power consumption is up to 10% lower. And while benchmarks don’t tell the whole story, they do confirm that the 6 does indeed deliver when it comes to performance. 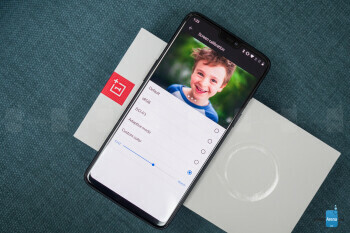 Traditionally, you don’t get microSD card support on OnePlus phones and the 6 is no exception: the storage you buy is the storage you get, and you cannot expand it. OnePlus’ first gigabit LTE phone and more LTE bands, but still not compatible with Verizon and Sprint in the US. The OnePlus 6 is also equipped with the fastest LTE modem ever used in the series: it features gigabit LTE speed support, nearly twice as fast as the OnePlus 5 series (which has a 600Mbps modem) and more than three times faster than the OnePlus 3 series (at 300Mbps). Why do all these numbers matter, though? Well, they might not matter much right now as the networks for them just don’t quite exist yet, but a gigabit LTE speed means that the phone is ready for the networks of the future. The OnePlus 6 is also equipped with a ton of 4G LTE bands and it is fully compatible with various carriers across the globe, including AT&T, T-Mobile and U.S. Cellular in the US. Unfortunately, OnePlus does not list the phone as compatible with Verizon Wireless or Sprint. In terms of other connectivity options, you also have dual-channel Wi-Fi, Bluetooth 5.0 with aptX and aptX HD support for higher-quality wireless audio, and NFC support. Bigger sensor, better low-light performance and more video options. 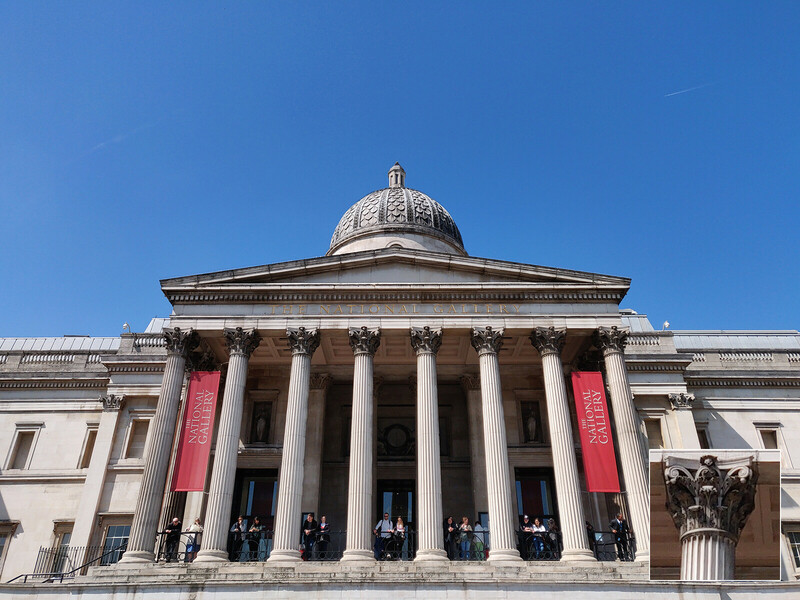 While OnePlus phones have always had an impressively fast performance, the camera on the OnePlus 5 series was never quite on par with the best camera phones out there. 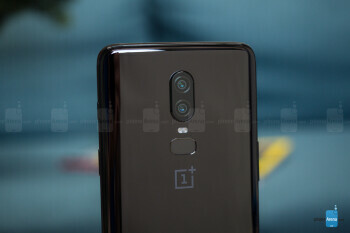 That’s why we were curious when OnePlus said that the cameras on the 6 are improved and better: you get a dual camera setup on the back, with a 16MP main camera with OIS, a 19% larger sensor and an f/1.7 lens, as well as a secondary, 20MP camera without optical stabilization, but this one is not a telephoto lens and it has the same focal distance as the main camera. Up front, you get a 20-megapixel f/1.7 camera for selfies. Enough with the specs, though, let’s open the camera app and the quickest way to do that is with the useful double-click on the power key shortcut. The camera app experience is simplified, so you get three main shooting modes: photo, video and portrait, and a swipe up from the bottom bracket reveals four more shooting modes including slow motion, pro mode, time-lapse and panorama. 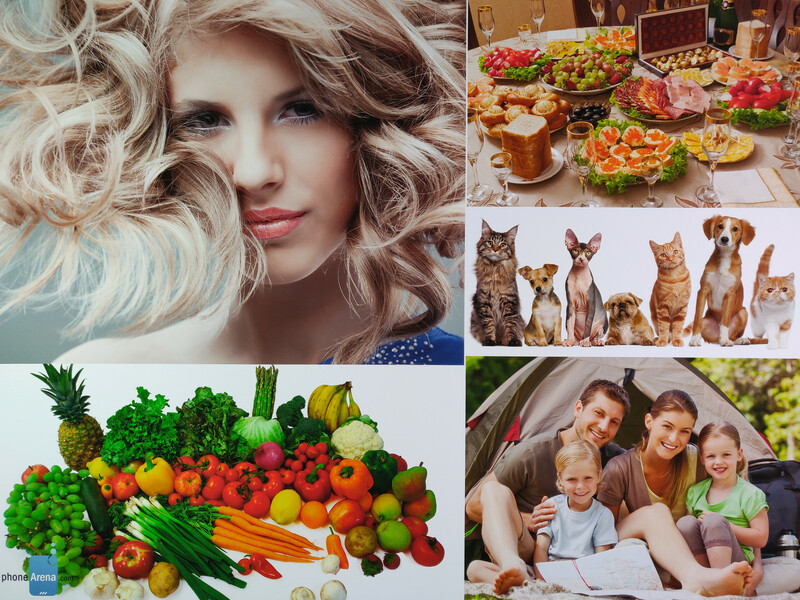 For photos, you get three aspect ratios to choose from: 4:3, 19:9 (the native for the phone screen) and 1:1. In Pro mode, you also get a live histogram, along with ISO, white balance, shutter speed, focus and exposure controls, and you can also shoot RAW. A cool option for enthusiasts is to save a set of settings into one of two custom manual shooting modes. With all those details cleared, it’s time to look at the actual photos and videos. How do images turn out? Quite good actually. 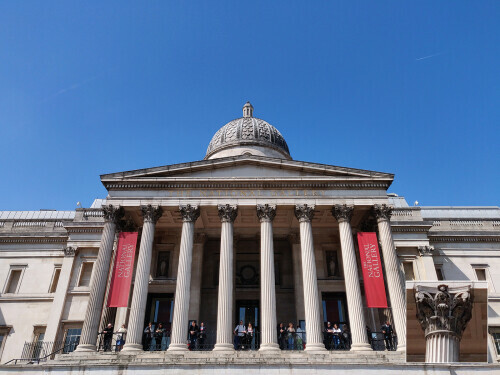 We were not particularly impressed with the OnePlus 5 and OnePlus 5T as the camera was one of their weakest points, we feel like the OnePlus 6 has the best camera that OnePlus has ever made. It has well balanced, likable colors, good control over dynamic range with no burned highlights, gets plenty of detail and is overall a solid performer. 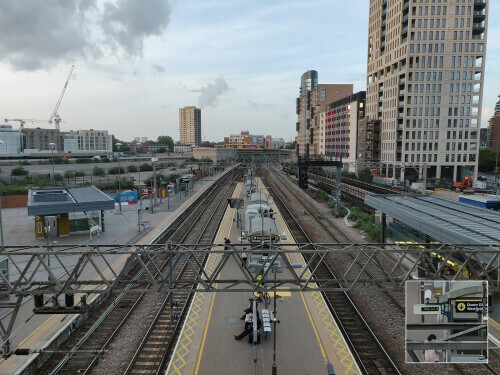 We will have more detailed camera comparisons of the OnePlus 6 camera against the big guns – the iPhone X, Galaxy S9+ and Pixel 2 XL – coming soon, but we are definitely happy with what we see in these camera samples below. At night, the 6 also captures good-looking photos. Surprisingly, it handled neon signs on par with the Pixel 2 XL in our few tests and while it does not quite have the Pixel's dynamic range reach, it is a good performer at night. 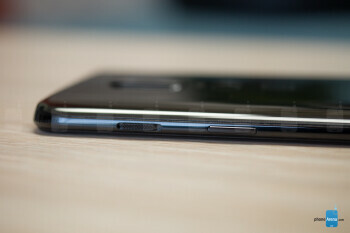 There is a bit more noise than on Samsung phones, but it looks organic and you still get a very sharp image. You also get a portrait mode here and it comes with plentiful detail and nice separation of the subject from the background, so we're happy with the portrait shots that we got. In terms of video, there are two new things: 4K60 and 480fps slow motion video. Both features are great to have: 4K60 is so much smoother and you should definitely consider it if you shoot action shots, sports or anything with fast motion in it. This higher frame rate, however, needs a good amount of light and at night or in dimmer conditions, you might want to switch to 4K30. The new 480 frames per second slow motion recorded in 720p is another very cool feature. It's not the 960fps that you get on phones from Sony and Samsung, but we honestly feel that the implementation in the OnePlus 6 is better: instead of being able to record just a few seconds and instead of having to struggle to capture the exact moment, you have much more freedom here as you can record up to a minute and then select which part of the footage to slow down in the editor after you have finished the recordings. Speaking of slowing video, you get a basic video editor to trim footage and add filters to it, and we found it tremendously useful. Why? Simple: it's a pain to find a good 4K video editor on Android, and this built-in one works fine and the filters are actually likable. 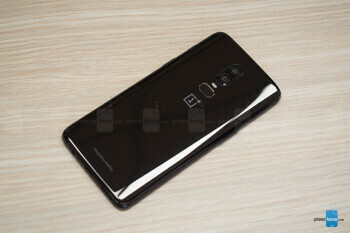 You have a single bottom-firing loudspeaker on the OnePlus 6 and the sound coming through it gets loud and fairly clear, overall good, but when you compare it with the newest dual speaker systems on phones like the iPhone 8/X series and the newest Samsung Galaxies, you realize that it is definitely not on the same level. It lacks the clear pronunciation and punch of those speakers that have really raised the bar for smartphone audio. 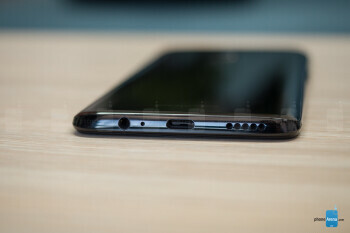 And once again, let us remind you that you do get a headphone jack on this phone so you don’t need clunky adapters to connect to wired headphones. 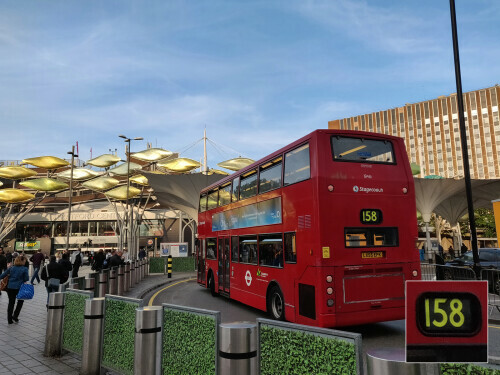 When it comes to call quality, we have had no issues with the OnePlus 6. Voices in the earpiece are sufficiently loud and clear, easy to recognize with their natural tonality, and the mic output is also crisp and clear, so callers on the other end will not have any problems hearing you. Dash Charge is here, but there is no wireless charging. The battery size on the OnePlus 6 has not changed: it's the same 3,300mAh battery that you had on earlier phones like the OnePlus 5 and 5T. After using the OnePlus 5 and 5T for quite a while, we can confidently say that the battery life on those phones was one of their strongest feats. Luckily, the 6 builds up on that solid foundation and is another OnePlus phone with excellent battery life. We got around 5 hours of screen-on time, which is more than enough for even the heaviest users, while on those days when you use your phone moderately, you can expect to get up to 2 days of battery life on a single charge. We will share more detailed impressions and tests about the battery life of this phone soon, but those are our initial impressions. And then, there is Dash Charge (OnePlus seems to no longer call it Dash Charge, but we'll refer to it this way for simplicity sake). The slogan for this fast charging technology by OnePlus is “a day’s power in half an hour” and it describes it perfectly. 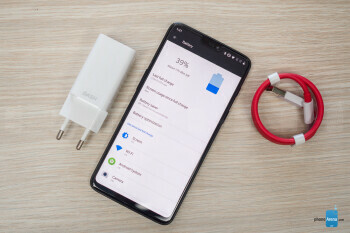 It takes about 1 hour and 40 minutes to fully charge the OnePlus 6 from zero to 100%, and what is particularly great here is that the fast charging speeds apply even when you are using your phone. In contrast, on many other phones, the phone will fast-charge while it’s sitting idle, but if you pick it up and use it while charging, the actual charging speed drops significantly. Remember, though, that Dash Charge is a proprietary technology and you need to use the special OnePlus wall charger and the OnePlus red USB-C cable, and it will not work with third-party chargers or cables. Also, we’re disappointed to see that the OnePlus 6 does not support wireless charging. Wireless charging is a little convenience that we have grown more and more used to with time, and we were surprised that despite being a glass phone -- theoretically capable of supporting wireless charging -- the 6 does not. OnePlus has been slowly, but progressively increasing prices for its phones and the new OnePlus 6 now costs nearly twice as much as the original OnePlus One. The pattern of growing OnePlus phone prices is clear, but here is the thing: while the OnePlus 6 is the most expensive phone the company has ever made, it comes at a time when the other, more established phone makers have hiked their pricing even further, so many 2018 flagships now can easily cost $800 or more! Summing it all up, OnePlus has done it again with the OnePlus 6. 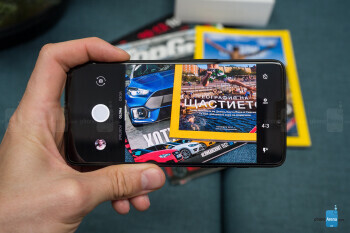 This phone continues refining a successful formula by bringing a flagship-grade phone with a focus on a clean interface and speed at a very alluring price point. The 6 is also the company’s best design effort and brings an improved camera, and familiar beloved features like Dash Charge. 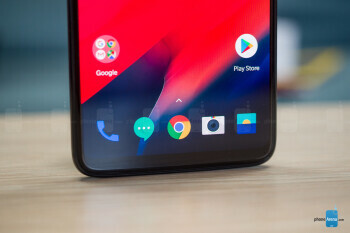 But it’s not quite the perfect phone: while the notch did not bother us too much, the more we used the OnePlus 6, the more we lamented the clunky implementation of the new gesture navigation. 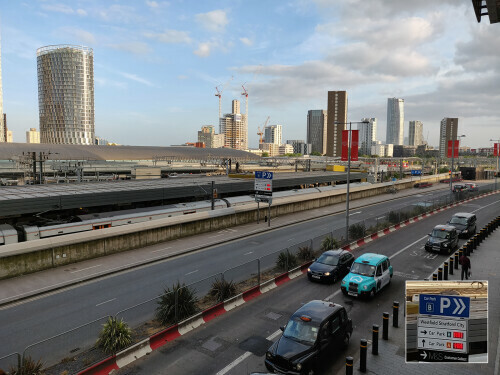 This is purely a software feature, so we sincerely hope that OnePlus reconsiders its gesture navigation system and improves it with a future update. We’re also disappointed that there is no wireless charging on the OnePlus 6 and that it is still not compatible with CDMA carriers like Verizon and Sprint.